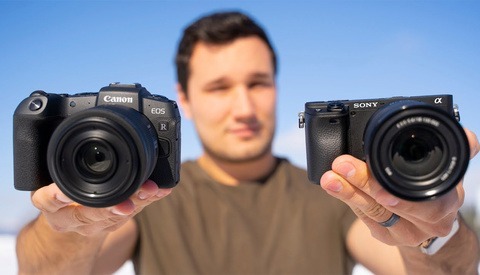 Photographer Oat Vaiyaboon recently posted a video of two different Canon EOS R mirrorless cameras freezing up after the same steps were performed on each. While this may sound trivial it is clearly something you would not want happening in the middle of a shoot that will need to be addressed with a firmware update sometime in the future. The issue appears to be lens specific at this time. The Samyang AF 14mm f/2.8mm lens creates the freezing scenario as soon as it is switched from autofocus to manual focus with the switch on the side of the lens. Vaiyaboon took the time to document the bug in a quick YouTube video. The clip clearly shows the camera working perfectly for a few shots with autofocus on, then immediately after switching the focus to manual the camera takes one last picture and freezes. The camera is actually so locked up it requires the battery to be removed to restart the device. To avoid the case that it may have been a bad body or lens the exact issue is repeated on a second camera and lens. Unfortunately, as cameras become less analog and more computerized I have a feeling we may be seeing more and more of this. Computers freeze up. Cell phones freeze up. And now apparently, so do brand new mirrorless cameras. Have you ever encountered a glitch like this with your camera? Thanks to Vaiyaboon for reaching out to Fstoppers with the news after frustratingly discovering the bug himself while shooting. Lead photo used with permission by Oat Vaiyaboon. Michael B. Stuart is a photographer at Stu Stu Studio in Lewiston, New York. Besides shooting weddings with his wife Nicole his specialties include long exposure, abstract monochrome creations, architecture, and bokeh. Work has been featured online by Adobe, Flickr, Google, and 500px with the most popular photo receiving over 950 million views. I have a problem with the title. It's misleading, I thought this was all Canon issue when it may not even be related to the camera but the lens. LOL. I don't think it was intentional, but I'm getting a little sick of all these kinds of rushed articles in general on the net. The Metal Blast story was a joke. I monitored the site incredible surge in followers since the site actually posted the number of followers and the growth drastically dropped as soon as the story was old, to the point they removed the data since. Yet so many people fell for it, it's scary to see things like that happen. Yeah, it's a Samyang. What'd you expect? Third party lens causing problems.....yeah I am sure Canon will get right on this. Hot Fix incoming. Unless it's happening to Canon lenses (which they've probably tested thoroughly), it doesn't matter. Hell, it's probably beneficial for them to just leave it as is and let this third party manufacturers spend their own resources figuring out the cause and pushing out a firmware update for their lenses. 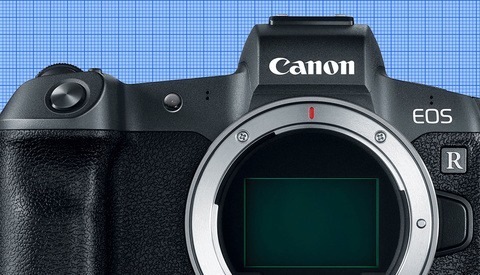 Expecting Canon to do regression testing on every third-party lens in the environment is absurd. If all Canon lenses work fine--including EF lenses all the way back to 1987 (and I have a 1987 EF lens that does work fine on my R), then the problem is simply not with Canon but with Samyang. Not that all, that would be too much to ask. Question is why was it working in the last two months and now it's not. And it sitll work on my other bodies. That's a good question. Maybe you should email Samyang. Exactly. I don't understand how this would be classified as a Canon "bug". Maybe because the lens was working and now it's not JUST on the R. It still works on my other Canon body and even on Sony via adapter. That does not definitively mean the camera is buggy. That's not how that works. I don't believe camera manufacturers have any obligation to make sure their rigs work with third party lenses. Now, there may be a bug of some kind, but, like I said, you can't make that judgement based on this. Oat, let me tell you the story of Sigma. Back in 2000, Canon release the Elan. A significant difference was that the Elan was the first of a generation of lower-powered Canon cameras with smaller batteries and longer battery life. Sigma zooms and telephotos (and to a lesser extent Tokina zooms and telephotos) that had worked fine on earlier Canon cameras choked on the new Elans and following Canons. People believed that Canon had purposely changed the lens communication protocols to lock out 3rd party lenses. But the, all Canon EF lenses continued to work just fine, even back to 1987 lenses. And Canon explicitly denied changing the communication protocol. What Canon had reduced, however, was the total amount of power the cameras provided to the lenses. That's how they had extended battery life. Sigma and Tokina had reverse engineered the Canon protocol but hadn't paid attention to how power-efficient Canon EF lenses had always been. The Sigma and Tokina lenses pulled all the power the cameras provided, but EF lenses had always run 'way below capacity. It was a problem of imperfect reverse engineering. I'm pretty sure that Canon doesn't care if a Samyang lens causes the camera to freeze. They'll just fault the user for using a third party lens instead of a Canon lens. The point is to let other knows that this combination doesn't work and why now and not before. Canon wouldn't worry about it. The title of the article seems to blame Canon when it's clearly not their responsibility one way or the other. This is on Samyang, not canon. The title should read, Samyang is causing a glitch to a major Camera manufaters Body”. How do you explain that it was working before and not now? And that lens still work on my 5D and my Sony via adapter....so is it sitll the lens? No need to explain it. 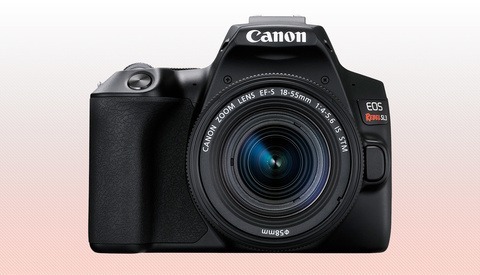 Canon will do what it wants. 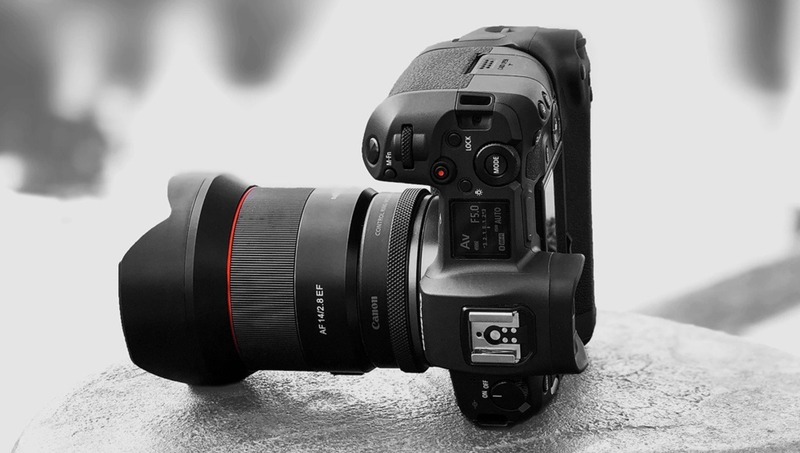 It's Samyang's responsibility to make sure that their gear works on Canon cameras, not the other way around. Even if Canon was deliberately sabotaging reverse engineering attempts by switching the software around, it's still the responsibility of the lens manufacturer to provide a solution. The only time it's Canon's responsibility is if something is not working while you're using a Canon lens on a Canon body with a Canon battery and Canon accessories. That's a pretty piss poor attempt at blaming Canon for what most likely isn't their fault. What's even worse is the video has a Canon EOS R and a Canon lens in a middle of a red crossed out sign indicating that the whole thing is whack. Very, very poor and unprofessional. It's the combination that doesn't work. I didn't just put the R in the photo alone....this combination was working and now it's not. If you don't have this combition of camera and lens you wouldn't know. And how would you feel if your particular camera and lens combination suddenly decide to stop working. That's the risk you take using any third party piece of gear. Any given update can render your setup useless. The title, unbelievable. @Fstoppers, shame on you. Michael, I am sure you are a good photographer. Keep up with that and let the writing to true professionals. Is there no quality control at Fstoppers? This isn't a camera issue, is it? It's the lens that's the problem. Misleading title. Im now sure either but the lens still works on my other canon cameras, as well as sony and adapter but not on the EOS R. And it was working prior and now now....nothing has changed.